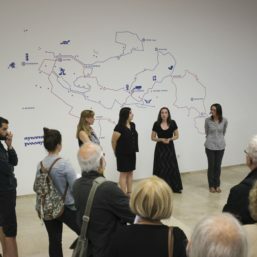 The exhibition On Revolution Roads – Memorial Tourism in Yugoslavia, created through the international research platform INAPPROPRIATE MONUMENTS (www.inappropriatemonuments.org) will be opened on Friday, July 15th at 7 pm at the Museum of Yugoslav History. 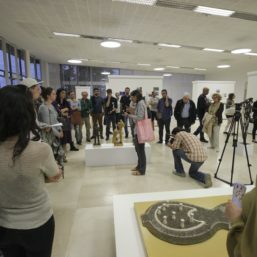 The topics of the research that exhibition is based on are heritage sites, management and preservation of heritage and its meaning at present. Shortly after the end of World War II, the sites of the monuments commemorating the National Liberation War became places of remembrance visited by a great number of Yugoslav citizens. In the mid-seventies, Partisan marches, sightseeing excursions and field trips named Paths to the Revolution had about 2.5 million participants. By the end of the decade, this number rose to around 4 million visitors per year and monument sites became part of travel itineraries in Yugoslavia. Showcasing examples of WWII monument sites all over the former country, presented through archival photo material, the exhibition On Revolution Roads looks into the ways in which monuments were included in travel itineraries developed from the mid-seventies until the disintegration of Yugoslavia. How did the notion of these memorial sites as tourist attractions affect the mechanisms of maintaining the awareness about them and their management? Are these sites still part of travel itineraries ? The artists who joined the exhibition in Ljubljana and Belgrade will show us all the different sides of dealing with what once was our common or shared heritage, both artistically and politically. Their questions and answers range from socialism to capitalism, revisionism, oblivion and/or the compulsion to remember, and even such seemingly simple things as sightseeing and traveling. The visitors will also have an opportunity to see a collection of photographs documenting memorial tourism, compiled as a result of an open call for photographs from personal archives of people from the former Yugoslav republics. 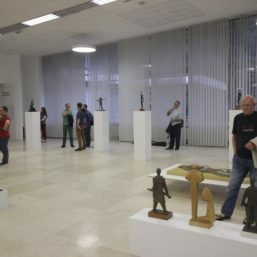 Moreover, the exhibition will feature a selection of 15 sculptures/scale models of the monuments from the collections of the Museum of Yugoslav History. 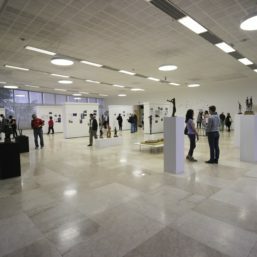 The exhibition has already been held in Zagreb, Sarajevo, Kraljevo, Niš, Šabac and Ljubljana. In 2016, it will be shown in Belgrade, Pula, Split, Karlovac and Skopje. Researchers – associates: Tamara Buble (SF: ius), Barbara Drole, Jelena Grbic (GA), Elma Hodzić (HM BiH), Marko Jenko (MG + MSUM), Goran Janev (Leftist movement Solidarnost, Skopje), Jelica Jovanović (GA), Mateja Kuka (SF: ius), Nenad Lajbenšperger (Institute for the Protection of Cultural Heritage of the Republic of Serbia , Belgrade, Serbia ICOMOS), Nikola Puharić (SF: ius) Vladana Putnik (University of Belgrade Faculty of Philosophy – Department of History of Art), Vojkan Trifunović (Positive Youth, Kraljevo). Project partners: Group of Architects (Belgrade), SF: ius – Social fringes: interesting untold stories (Zagreb), Museum of Modern Art (Ljubljana) and the Historical Museum of Bosnia and Herzegovina (Sarajevo). The exhibition project is carried out with the support of the NGO Positive Youth (Kraljevo) and the Leftist movement Solidarnost (Skopje). The Inappropriate Monuments project is carried out with the support of the Balkan Arts and Culture Fund – BAC, the Ministry of Culture and Information of the Republic of Serbia, Croatian Ministry of Culture, the Ministry of Culture of the Republic of Slovenia and Kultura Nova Foundation.